When you talk about the magnitude of a business, there’s scale and then there’s SCALE. 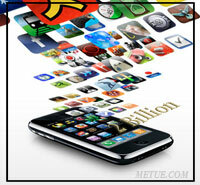 Apple unequivocally reached the second plateau with its App Store Monday. In a short press release, the company announced customers have downloaded more than 2 billion applications since the store’s debut. 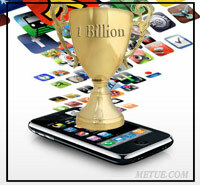 That’s a jump of 500 million downloads since July, or an even billion since April. Steve Jobs has to be happy in Cupertino. • Average Downloads Per Day – The App Store has delivered approximately 4.5m downloads per day since its debut in July 2008. Since mid July of this year, when Apple triumphantly announced it had delivered 1.5 billion downloads, the rate’s jumped to somewhere near 6.5m per day. (Ed. Note: averages are approximate due to inexact information about the days on which Apple crossed each download milestone. See table). 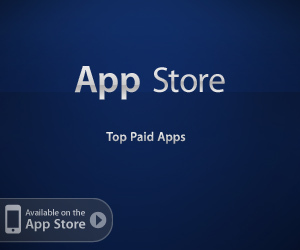 • Available Titles – Back in March, the App store had about 30k applications to offer. Since July, the number of available titles has jumped from 65,000 to 85,000 and the number of developers has advanced from 100,000 to 125,000. • Free or Paid – According to an App Store product survey maintained by 148Apps, the App Store had 83,618 titles available for download in the U.S. on September 28th (just under Apple’s report of 85k titles). Of these 83.6k downloads, approximately 23%, or 19,514 titles were free. 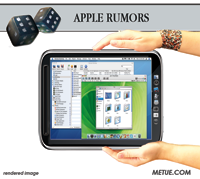 Applevine: Rumored Apple Tablet in 2010? Sometimes when a company says they aren’t doing something, they really aren’t. But other times, brush-off’s hide another message. Sometimes, lost in careful wording there’s a different truth. As Shakespeare famously put it “the lady doth protest too much.” When denials are over-emphasized something is going on. Is Apple hiding something behind denials a netbook is in the product queue? Some think so. The economy continues to be a drag on earnings for many consumer technology companies but Apple isn’t one of them. After the close of markets Tuesday, the company reported 3rd quarter earnings of $1.24b, or $1.35 a share, up from $1.07b, or $1.19 a share for the same period a year ago. For the quarter ended June 27th, Apple’s revenue grew 12% to $8.34b and gross margins jumped to 36.3%. Where competitors have seen revenue and earnings falter, Apple surged. Neither Apple’s prior guidance for earnings of 95 cents to $1 per share on revenue of $7.7b to $7.9b nor Wall Street’s more realistic consensus forecast of $1.17 per share on $8.2b in revenue proved close to the reality. In the third quarter, concerns about an otherwise contracting PC market impacting sales were a non-issue as Mac sales more than held up. It usually takes a few days or weeks after a product hits the store shelves before there is a public tear-down and reports about its innards (and manufacturing costs). 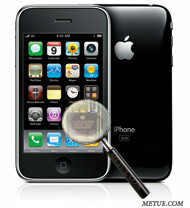 Jumping the gun, and working off “insider sources” instead of an actual look inside, several sites began sketching out the details and performance specs on the new iPhone 3G S internals this week. True to expectation, Apple launched its World Wide Developers Conference (WWDC) in San Francisco Monday with bang, or at least, plenty of news. 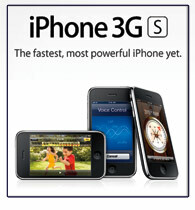 Two days after Palm rolled out the Pre, a solid Smartphone in its own right, Apple rolled out the latest incarnation of its own category killer, the iPhone 3G S.
Behind a lead-in of teasing sales numbers touting 40m iPhone and iPod Touch Units sold, and the 50k applications available in the App Store (compared to less than 5,000 at the closest competitor: Android), the Keynote Speech showcased the phone and the official installment of the 3.0 software package for the platform. In the second quarter, despite the economy’s effect on consumer sales, Apple’s train continued to roll ahead with plenty of steam. Wednesday, the company announced the best non-holiday earnings in its history. 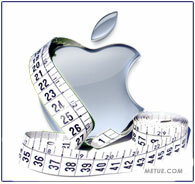 After the close of market, Apple reported net income of $1.33 a share ($1.21b), up 15% year over, on revenue of $8.16b. Both numbers bested Apple’s own conservative guidance, and expectations. On a non-GAAP basis, adjusted as Apple’s begun doing, adjusted sales totaled $9.06 billion for quarter. That’s $900 million higher than reported revenue. Adjusted gross margin was $3.62 billion and adjusted net income was $1.66 billion.